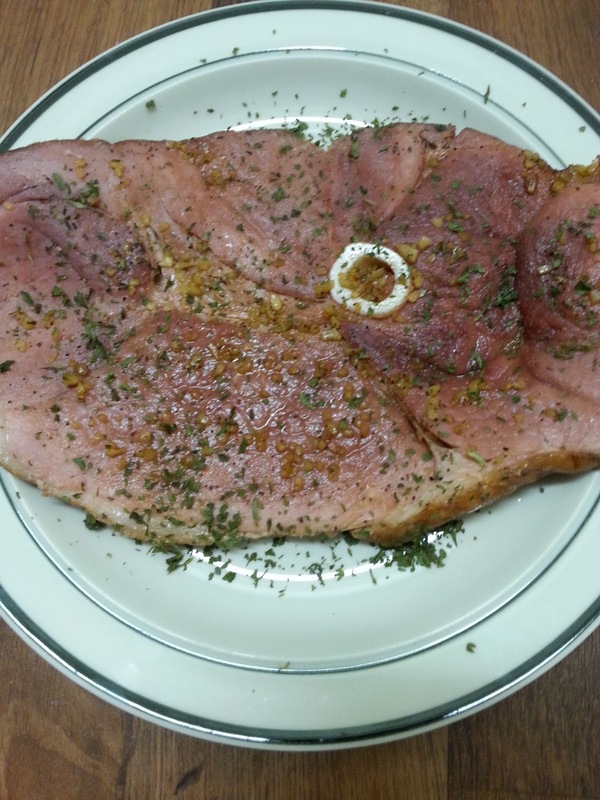 Mere minutes and you can have this delicious ham steak on the table. Heat oil and butter over medium heat, cook for 3 minutes. Meanwhile, in a small bowl, combine garlic, worcestershire sauce, liquid smoke, honey, black pepper and salt. Turn ham steak, brush on honey mixture, cook for 3 minutes. Place ham on a platter and garnish with chopped parsley.